if you’re reading this, I’m right this second creating this blog! 5 Weird Things about iZotope Ozone. IRC II is better quality than IRC I, IRC III is better quality than IRC II, But IRC IV is the same quality as IRC III … weird! Shouldn’t it be + and - ? Also, take a guess at the difference between + and the save icon.. it kiiiiind of makes sense, but not really. Weird! It’s like we needed teaching what the cog symbol means … weird! 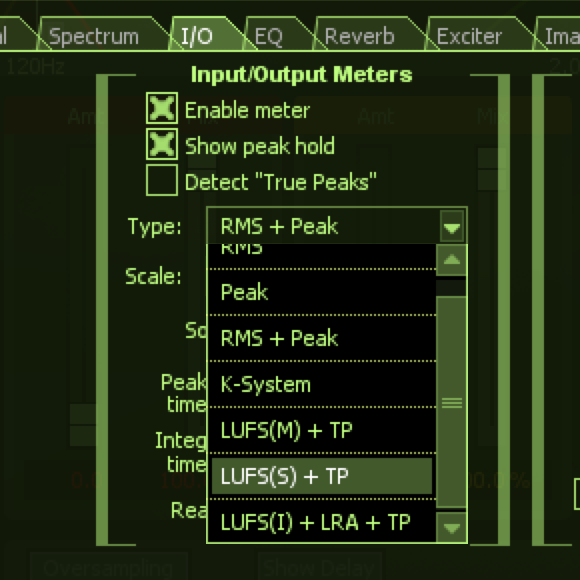 You can measure loudness by changing I/O meters to either 'Momentary', 'Integrated', or 'Short Term' (referencing LUFS). Ozone 5 maybe more helpfully labeled this LUFS (M) etc.. Weird! 5. Going from Ozone 5 to 6, iZotope removed the ability to save EQ matching presets … weird!